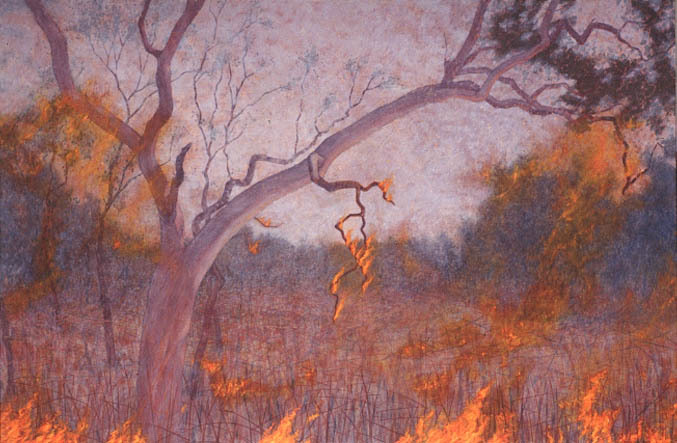 Grassfire, burning branch. 1994 – 97. Oil on linen, 152×228 cm.